What’s the Deal With Pet Wellness Exams? It may seem like an oxymoron to bring your pet to the hospital when he or she is healthy, but without preventive care, the bedrock of overall wellness is at risk. 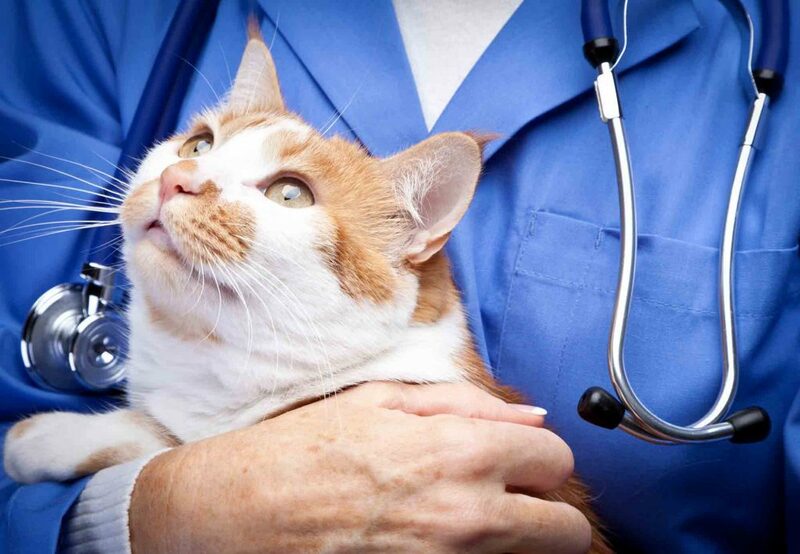 Certainly, when there aren’t any pervasive signs of illness of injury, routine pet wellness exams get the backburner. However, they’re essential to give us the opportunity to address developing problems before they get out of hand. Cats and dogs should be seen at least once a year until they reach about 7 years of age. At that point, they’re considered seniors, and due to common age-related illnesses, two visits per year are strongly recommended. At your pet’s exam, we will conduct a thorough physical assessment. This “nose-to-tail” exam takes into account the condition of the ears, eyes, mouth, lymph nodes, heart, lungs, abdomen, and musculoskeletal system. We look forward to discussing the results with you and hope you come prepared with questions, concerns, or observations about your pet’s behavior. Nutrition – Your pet’s weight and diet are extremely important factors of health. Pet obesity is exceedingly common and is responsible for diabetes, complications of osteoarthritis, and a lower quality of life. Any changes in weight can indicate an underlying health issue. Dental health – Gum disease can lead to systemic illness of the kidneys, liver, and heart. With routine brushing and dental cleanings under anesthesia, your pet’s oral health will support general wellness. Lab results – A pet may appear healthy, but blood or urine tests can reveal hidden problems. Other diagnostics, such as x-ray or ultrasound, are also very helpful at determining health issues. Disease prevention – Remaining current with your pet’s vaccinations is a vital component of pet wellness. Likewise, year round parasite prevention can protect against heartworm disease, Lyme disease, and more. In between general pet wellness exams, it’s important to keep a close eye on your pet’s activities, behavior, and to note any changes in routine. Please call us if you notice any differences in your pet’s appetite or thirst, urination or defecation, appearance, or mobility. Similarly, if you just have a feeling that your pet is acting “off,” don’t hesitate to call us. Your pet’s health and wellness are important to us!